Complete Streets initiative along Cedar Springs does not have support of neighborhood businesses. Melrose Hotel replaces Bronx with vacant lot, for like ever. AND the Melrose is supposedly tearing down the old Cafe Brazil building, with no timeline on their expansion. 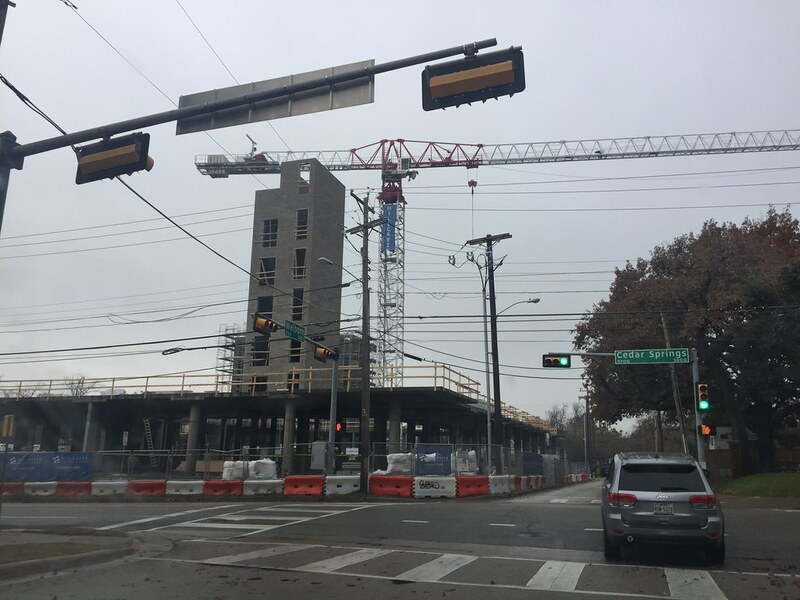 Apartment builder Trammell Crow Residential is tripling down on the Oak Lawn rental market. 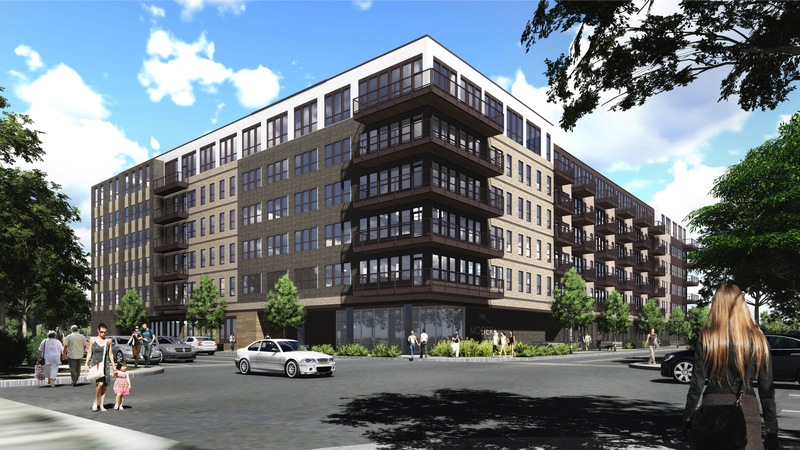 The Dallas-based developer is about to begin work on its third major rental community in the Maple Avenue corridor near Oak Lawn Avenue. Looks like Fairmount is becoming the resident-pedestrian echo to Maple.... a pairing of sorts, like Carlisle is becoming to Katy Trail. 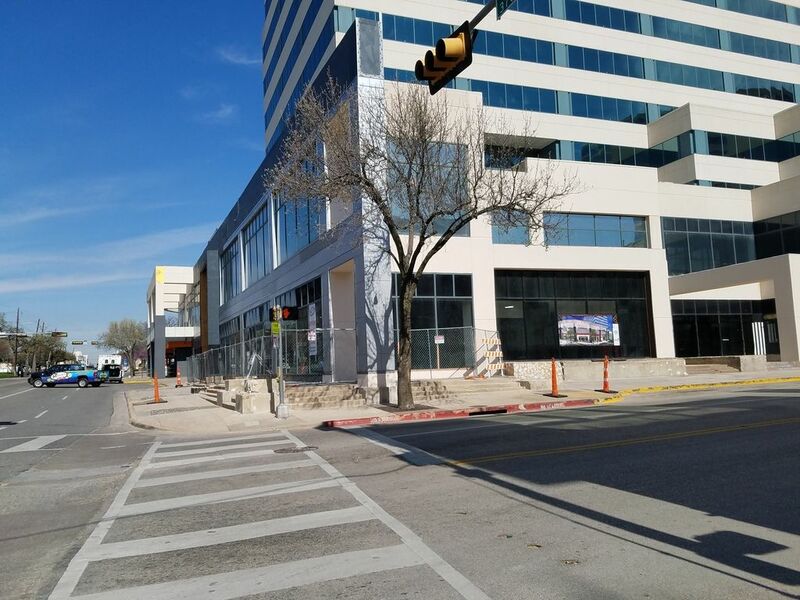 Maple looks to have a similar future in Oak Lawn as Ross has become in the Central Business District. I sure would like to see zoning changes for the remaining (re)developable parcels on Throckmorton between Maple and Lemmon; skewed heavily toward retail, dining, and entertainment with residential opportunities limited. Finish the notion of The Crossroads with two roads holding the Gayborhood social scene. Sam Houston Elementary School must be moved. A.I. first strike capability confirmed. So Oak Lawn includes all of Uptown? ^Before Uptown existed, it was all called Oak Lawn.... I hadn't thought the smokestacks (Victory Park) were Oak Lawn, but I can see that. Never would have called anything north of and including North Dallas High School Oak Lawn. ...although that nice stretch of Knox used to be pretty bohemian. Oak Lawn is the Oak Lawn special purpose district, i.e, PD193 and includes Uptown. Uptown is the Uptown PID which includes State Thomas which is State Thomas historic district and PIDS and TIFs. Victory Park wasn't anything before but a commercially zoned superfund site, it's now PD582, the Victory Park special purpose district plus the Victory TIF. Basically it's all zoning, PIDs and TIFs. At least Uptown has nice identifying markers. I heard that the old Cafe Brazil space is up for lease out after they move. Is the Melrose deal to take that land over done or not. I would hate to see that old rickety space get released rather it get torn down. 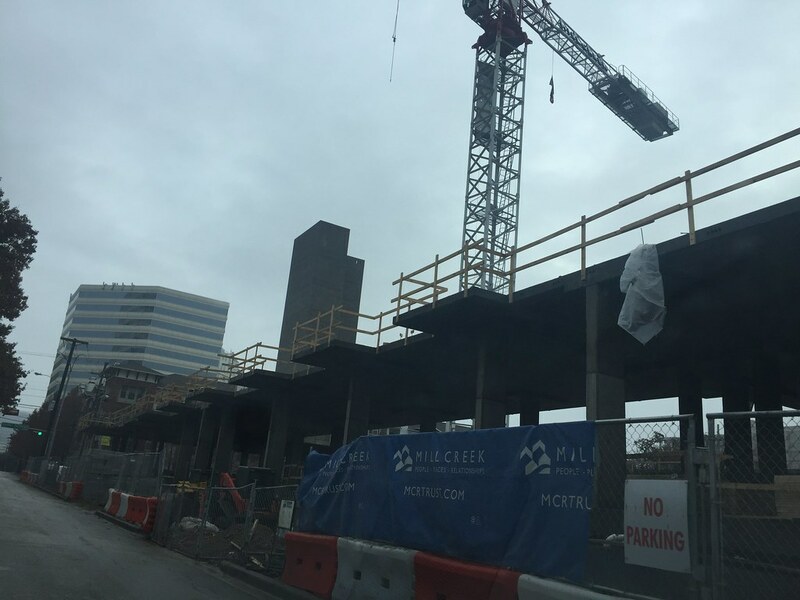 That Melrose deal needs to be for a parking garage! R1070 wrote: That Melrose deal needs to be for a parking garage! Agreed if the garage has ground level retail facing Cedar Springs and uses the rooftop for a pool. I thought they needed meeting space too. How do you cram all that in and still have room for a ramp? They should hire the architect who did the Old Parkland stuff. It would be a good fit with their main building. Heard a couple of days ago that Turtle Creek Village is up for sale again. On an 8600sf lot! Damn. Interesting. I own a unit in the Renaissance, and I remember a year ago there were talks about some sort of development here. There was a lot of pushback because it's so close to the Renaissance and way too tall and dense for such a small lot. Too tall and dense was the objection? The Renaissance is 22 stories tall, and massive at 612 units. This would be a little needle tower. Which I have a hard time imagining in Dallas, but still! I'm only familiar with the development process in the Bay Area (100% discretionary approval, strong neighborhood say).. to what extent would pushback from a neighboring development affect the chances of it getting built here? Build it. This would be an excellent addition facing the park; framed by the size and shape of Renaissance, this could be some outstanding architectural variety. I should be more clear, it had more to do with the location, versus the height and density. Right now, the Renaissance has a pool on top of the parking garage which overlooks Lee Park. If this high-rise gets build, that view is gone and many of the units would have their views blocked. 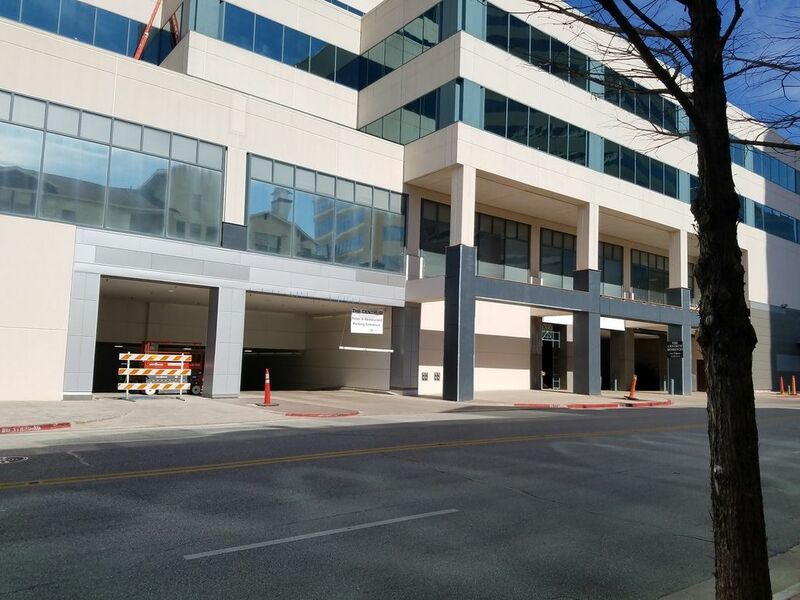 The biggest concern was the entrance/exit to the Renaissance parking garage which currently sits on a small alleyway-type road that you get to from Hall St. If this development were to be built, the Renaissance residents would have to share this tiny road to get in and out of their parking garage, which would create a ton of congestion. Personally, I'm okay with the fact that the views would be blocked. I didn't drive much while I lived there, so I don't mind the added congestion, but I think that is a valid complaint. With that said, I think there are still a ton of other lots that could and should be developed in Oak Lawn, before we consider cramming towers onto small lots like this one. I wish the city would freak out over suburban development as much as they do when someone tries to build something tall or dense! 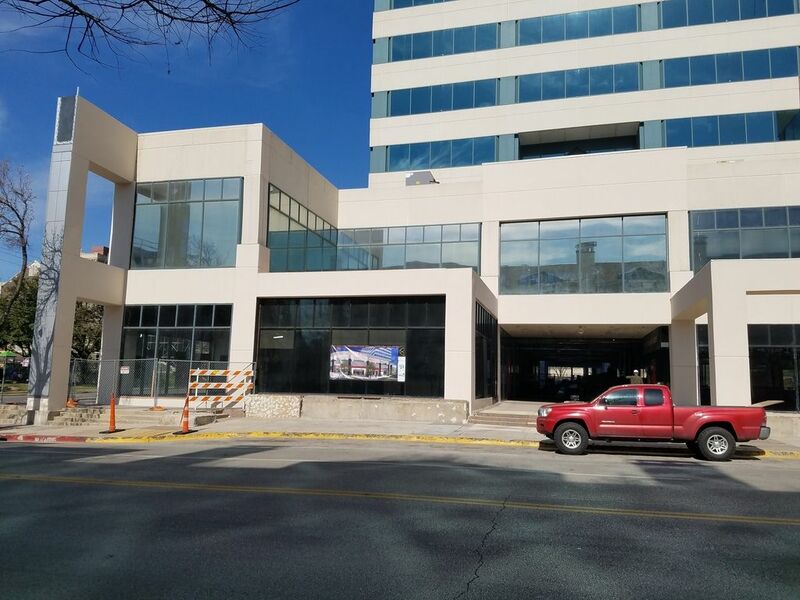 The new owner of an Oak Lawn office building — Abby Development — plans to begin a multimillion-dollar upgrade to the aging building, which could re-position the property, which sits near the popular Uptown neighborhood, to attract key tenants. 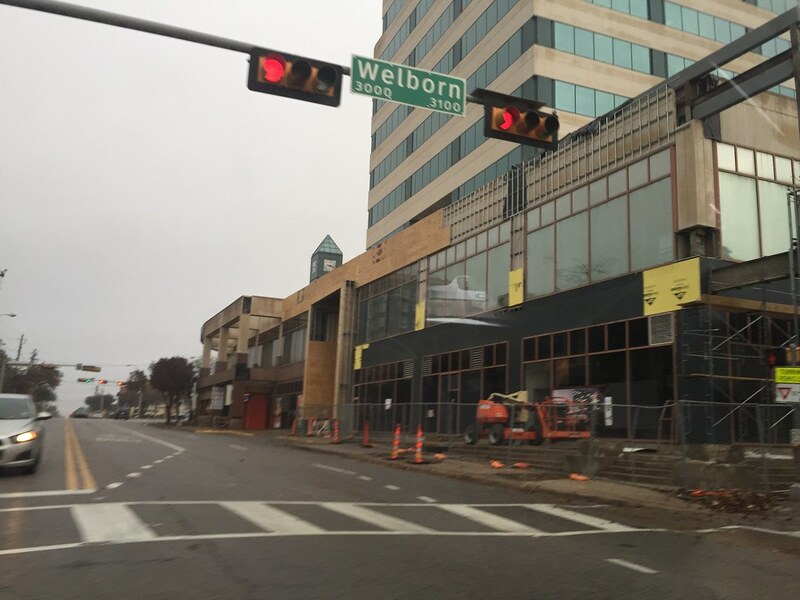 The upgrades to the four-story, 48,000-square-foot building at 3333 Welborn St. are slated for completion by the end of the year, which will bring nearly 30,000 square feet of available upgraded space to the market. 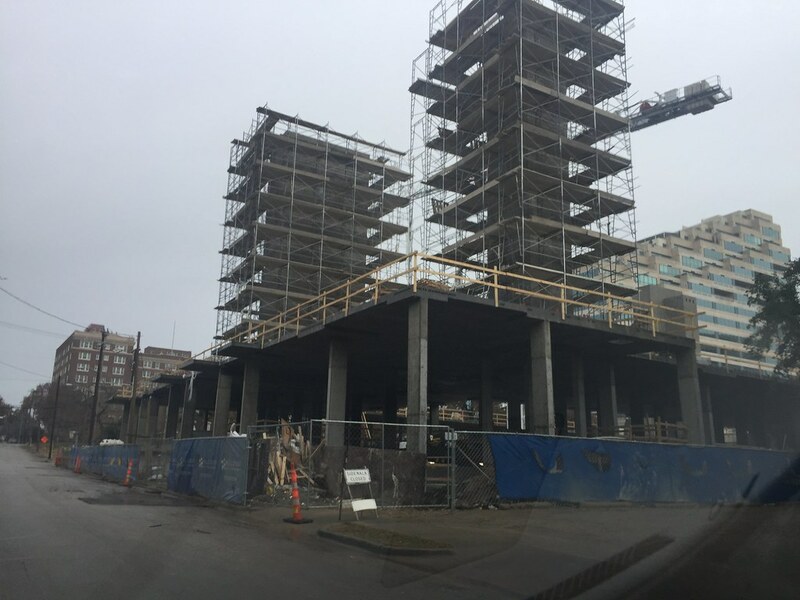 This isn't too far from the Centrum, which is also getting upgraded. Good to see more activity headed towards Oak Lawn. Last edited by DPatel304 on 15 Feb 2017 09:08, edited 1 time in total. This was kind of interesting. The shoe repair man on Lemmon had a suit against him. It says he passed away. I guess they dismissed the case yesterday. I don't have access to read the files. Rocky2017 wrote: This was kind of interesting. The shoe repair man on Lemmon had a suit against him. It says he passed away. I guess they dismissed the case yesterday. I don't have access to read the files. Are we talking about the show repair place that was on the Central Market plot on Lemmon? It has certainly been torn down with the La Madeline's building being the only thing left. So it seems we are going to be left with a huge vacant lot for the foreseeable future. What a shame. This area is somewhat urban, and this really creates an energy void. We have too many of these in Dallas. anyone else super disappointed with The Centrum update? it looks like it was done on the cheap. Paint the ivory color cream and replace the pink granite with grey painted column bases finished in more stucco. And worse- Mattito's gets to keep it's less than first rate picnic patio. NdoorTX wrote: anyone else super disappointed with The Centrum update? it looks like it was done on the cheap. Paint the ivory color cream and replace the pink granite with grey painted column bases finished in more stucco. And worse- Mattito's gets to keep it's less than first rate picnic patio. You're not the only one. It isn't looking too good so far. The painted granite looks terrible and cheap. All elements of character have been ripped away. I'm hoping the clocktower stays, but I'm not holding my breath. This re-do is looking terrible now, and it will look even worse in 5-10 years. That is unfortunate, maybe we can get some pics soon to see how this is shaping up. What I got out of the renovation is that this was definitely more of an interior than exterior renovation as the interior is fully gutted while the exterior only has minor modifications. Any news on whether a City Target is going in there as I had heard? R1070 wrote: Any news on whether a City Target is going in there as I had heard? Also, it looks like the branding "CityTarget" and "TargetExpress" has been dropped (or is still in the process of being dropped) in favor of just "Target". Urban formats, etc. apparently still in their development arsenal, however, just without the special branding. Yeah, that def isn't coming. They had plenty of interest in the office space with the new amenities they built out. Also, keep in mind the courtyard in the middle was massively redone so there's that. They also haven't really started the work on the clock tower which was one of the biggest architectural signals of the buildings past styling. 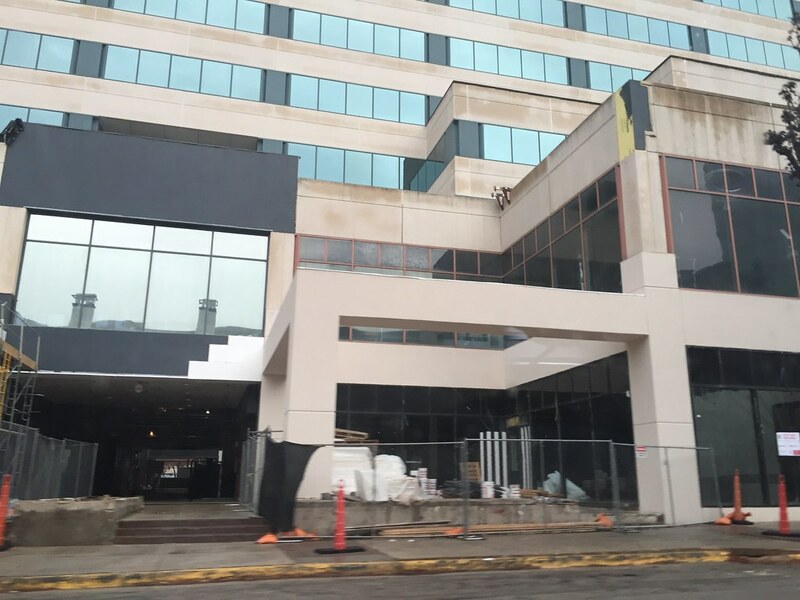 Anyone know whats going into the old Subway next to Hunkys on Cedar Springs? uptown74 wrote: Anyone know whats going into the old Subway next to Hunkys on Cedar Springs? I was also wondering that and the old Winslow's spot is being renovated. Perhaps Thairrific is moving into one of those spots? Thairrific was Thairrible. Truly awful and usually empty. Central Dallas has a plethora of great Thai joints to choose from. Si Lom, Malai Kitchen, and Asian Mint are very close to where Thairrific was and they're fantastic. Thairrific needs to stay dead. haha... I'll take your word for it. I just remember when it closed, they stated they were looking for a smaller space in the area of the strip. Neighborhood service wins again in the neighborhood. Is that a construction trailer? 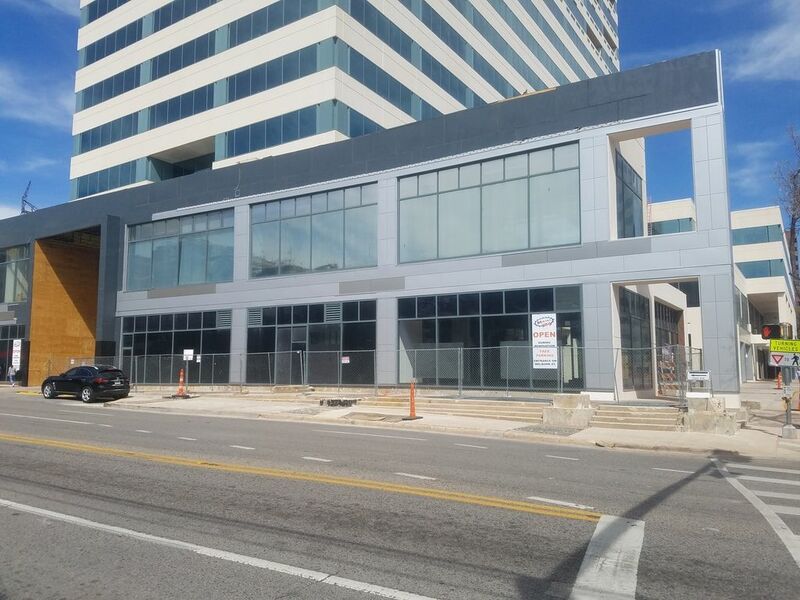 There's a proposal to tear down the 3 story building at the NE corner of Oak Lawn and Congress, along with the restaurant space next door (former Scotch and Sausage/Le Taco space), and combine lots into a drive-thru Starbucks. Sounds suburban in design but I have not seen the site plan. Another step back for Dallas, courtesy of copy/paste design corporate developers. My ideal plan for this site would be to combine it with the ghastly metal shed Enterprise Rent A Car next door, have retail space all along Oak Lawn with patios and good sidewalks out front, 2-3 floors of office or apartments above, and surface parking in the back. Would that really be that hard? Not everything has to be suburban style low density or mega behemoth 300 unit apartment complexes. Those are the easiest, but we are missing middle-sized developments that add character. Ouch. Thanks for sharing, but this sounds awful, and, even without seeing the site plan, I can't see how this will be anything but a step back. 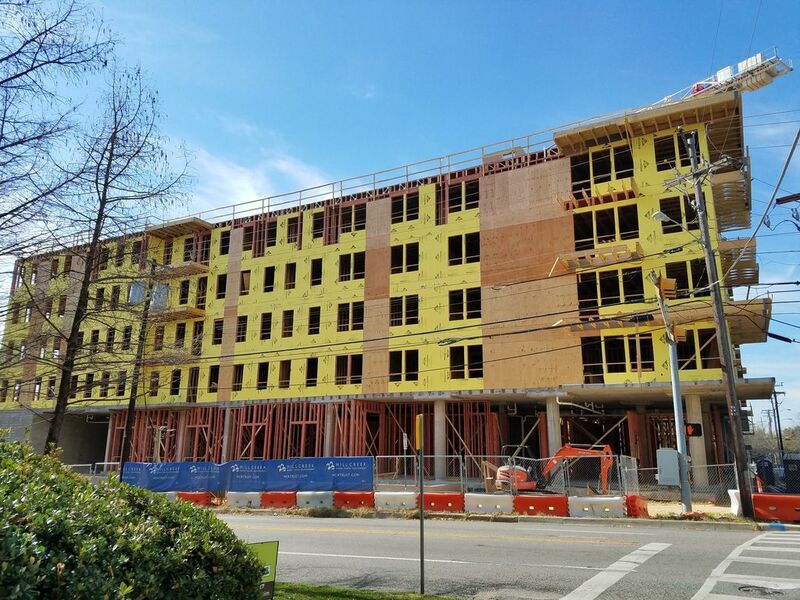 Developments in Oak Lawn have all been dropping the ball, which is a shame considering how close it is to Uptown. Two years ago, I had high hopes for the area to really come alive due to the spillover from Uptown, but I'm just not sure if that'll happen anytime soon. Development is moving more towards Downtown (which isn't a bad thing at all), and I'd imagine it will continue to move southward for the near future. Matt777 wrote: My ideal plan for this site would be to combine it with the ghastly metal shed Enterprise Rent A Car next door, have retail space all along Oak Lawn with patios and good sidewalks out front, 2-3 floors of office or apartments above, and surface parking in the back. Would that really be that hard? Not everything has to be suburban style low density or mega behemoth 300 unit apartment complexes. Those are the easiest, but we are missing middle-sized developments that add character. I'd love to see this all along Oak Lawn as well, and really expected there to be more pedestrian-friendly development by now. Perhaps when the Design District becomes more developed and the Cedar Springs street re-do happens, there will be more demand for more pedestrian friendly development on Oak Lawn. Dallas fix your damn code already.